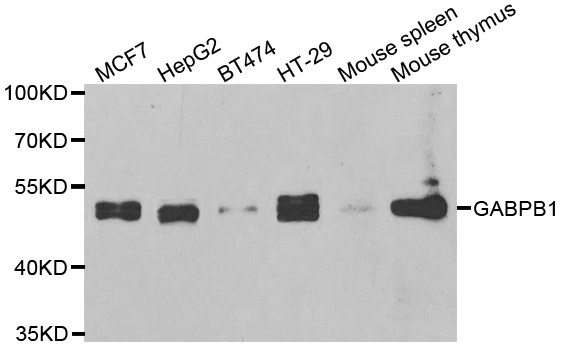 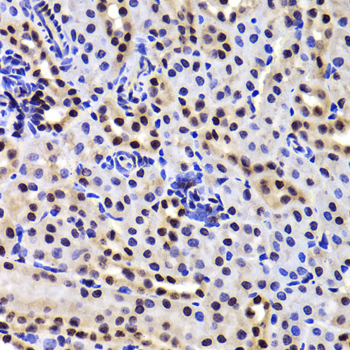 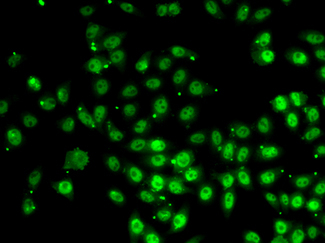 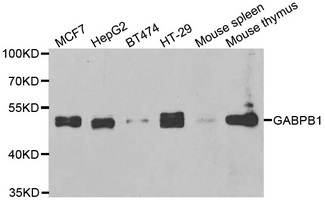 GABPB1 antibody LS-C346138 is an unconjugated rabbit polyclonal antibody to GABPB1 from human and mouse. Validated for IF, IHC and WB. 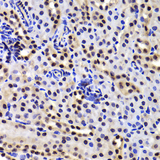 Immunohistochemistry of paraffin-embedded Mouse kidney tissue. 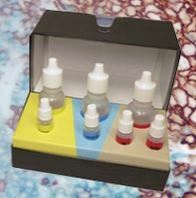 Immunofluorescence analysis of HeLa cells.